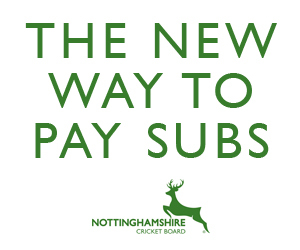 Nottinghamshire County Cricket Club is proud of promoting the welfare and safeguarding to children, young people and vulnerable adults through sports activities upon providing an enjoyable environment that meets the needs and requirements of all participants. The NCCC is firmly and enthusiastically committed to continuing to provide an environment that is safe, welcoming and friendly for children and for all people to enjoy the game of cricket. Nottinghamshire Cricket Board Directors work closely with England and Wales Cricket Board ECB on compliance and regularly reviewing its policies. The ECB offers guidance on selecting juniors to participate in adult cricket. The full guidance can be found here on the ECB website.To see our latest reviewed policy on safeguarding Juniors in Open Age Cricket (OAC) please click on the link at the bottom of the page. The ECB provides clubs with guidance on safeguarding, see the links below for further details of the policies. If you have any Welfare Protection Concerns please click on one of the links below (Welfare Protection) where you can find resources that will be useful if you have concerns about child protection or vulnerable adult protection concerns.